My first solo cruise was such a great experience, much easier and more fun than I ever expected. It was a small ship (700 passengers) and not entirely full so it was a good way for me to try cruising. 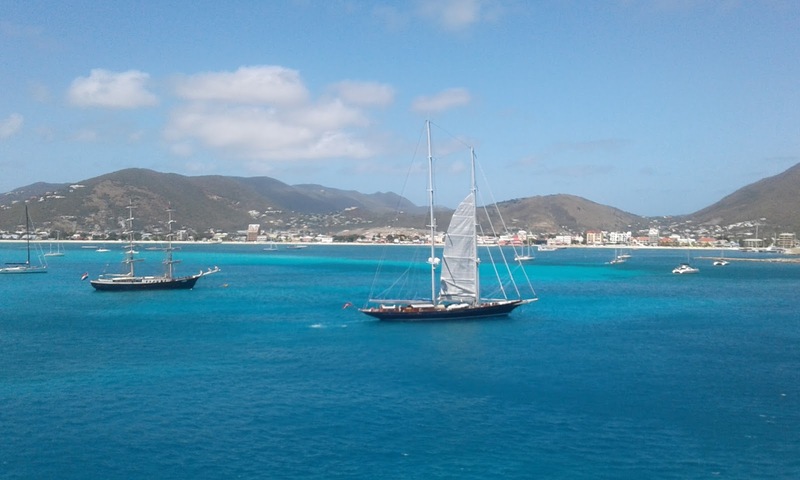 Also, I met so many wonderful people – couples and singles – who were happy to talk about their experiences and give me good information on what to consider if I wanted to continue cruising. I started checking cruises leaving from Florida in the next few weeks hoping to find one that would offer last minute discounts or waive the single supplement for someone traveling solo. I wanted to see more of the Caribbean so I focused on those trips. There were lots of options but most were already sold out or not really areas I wanted to travel to – at least not yet. I did find one that sounded very interesting, 10 days, four islands and some great activities on and off the ship, but it was completely full and set to leave in a week. On a whim, I contacted a travel agent to inquire about any last-minute cancellations. I didn’t really expect anything to come of it and thought that would be a good trip to take some time in the future. It was the last day the ship could make passenger changes and there was one cancellation. The agent asked if I was still interested and if so, we had to book it immediately and I would need to be at the port in three days. I was thrilled and very nervous all at the same time. A million questions raced through my mind – do I really want to do this, what will I pack, how quickly can I take care of everything before I go? All I could say was yes, absolutely. I wanted to try this and now it was happening. Usually, when you are planning a cruise you pick what cabin you want, what deck, if you want interior or ocean-view, what meal and or drink package, etc. Since I was purchasing the cancelled trip, there were no options: I would either take what was available or not go. I hadn’t done anything this spontaneous in a long time so I jumped at the chance. After committing so quickly I began to have second thoughts. This was a massive ship with 3,000 passengers and I wasn’t sure if I was going to be comfortable with the size and being with that many people. Unlike my first cruise that was very casual, this was your standard shopping, casino, shows, specialty restaurants and dining dress codes type of cruise. Something I have never experienced before and I needed to be ready in a couple of days. 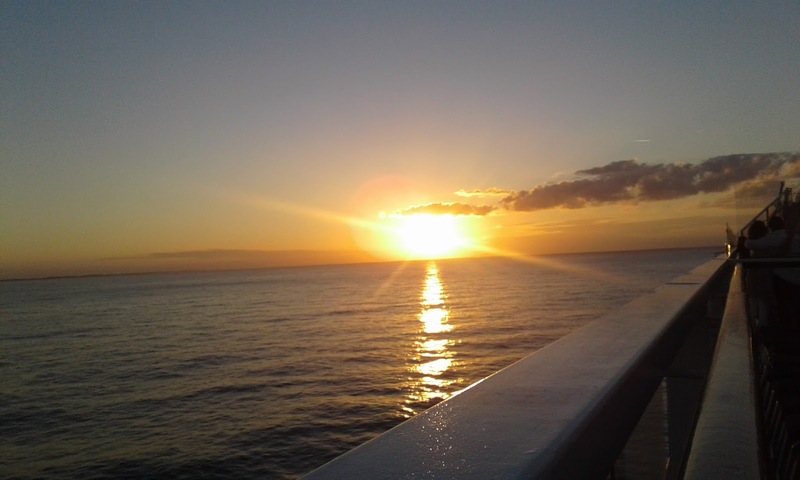 It took me a minute to calm my fears but once I realized that even if I didn’t do anything but walk around the ship, take some shore excursions and read in my cabin I would probably have a good time. I love seeing new places and really appreciate having food and entertainment available, so I quickly focused on the positive aspects of taking this very last minute adventure. The cruise terminal looked chaotic, with people swarming everywhere and luggage as far as the eye could see. I took a deep breath and dove in. I worked my way close to the nearest baggage handler and quickly realized that this was going to be just fine. Everyone was so helpful. Even though I didn’t have any documentation because of booking so late, they directed me easily to where I needed to go. Even check-in was a breeze. They had my name on the passenger list and directed me to the desk and then the waiting area. I was very surprised and relieved that they were so organized and took such good care of all of us. The process didn’t take much longer than it had on the small ship and that was amazing with that many people. 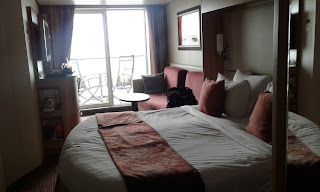 My cabin was beautiful with a lovely private balcony and a gorgeous port-side view. Now, I was getting excited. 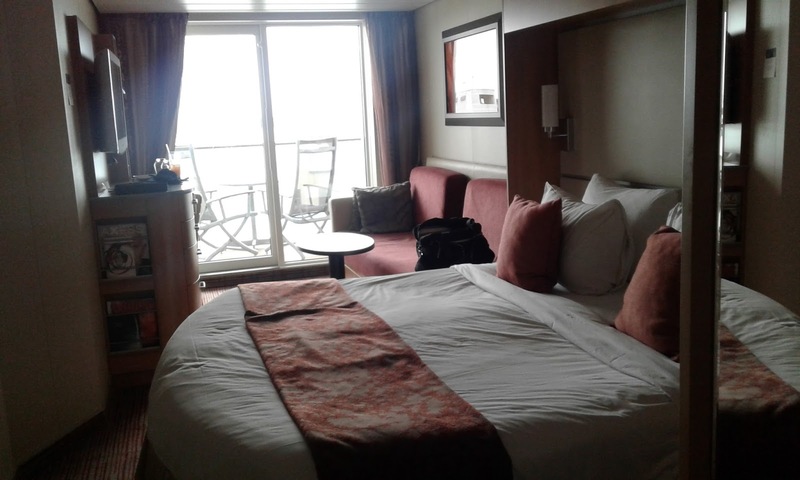 I remembered other travelers telling me to pack a carry-on bag with a change of clothes and swimsuit so I would have what I needed with me until my bag was delivered to my stateroom. This was fantastic advice and allowed me to begin enjoying my trip immediately. The ship was beautiful and so well laid out, I never felt crowded or claustrophobic. As I explored all the different areas I thought it was very interesting but I wasn’t sure how much of it I would take advantage of. Everyone seems to have their own plan for how to spend their time – some like to gamble, others shop or lay out at the pool. There are so many options you can do as much or as little as you want. We weren’t even past the first day and I was already having a great time. Everyone was so friendly and happy to be there. It was fantastic. I enjoyed visiting the different ports but what I really love is just being on the water. It is so easy having everything right there; it was like a sailing resort with all the amenities and service you could possibly ask for. As a solo traveler, I am careful about where I go and what I do when I’m away from home. That still applies on a cruise but what I discovered is that I felt more freedom to explore things I might not normally do alone. Like gambling or attending a nightclub. It was great knowing that I could go anywhere I wanted and at any point I could simply go back to my lovely room. Now that I have had two very different but equally wonderful experiences, I can’t wait to try more! Have you ever been on a cruise? Do you like to travel alone or with groups? Do you prefer large ships with lots of ports of call or smaller ships and more time on the water? Join the conversation and share your stories!